Asiad Steels is one of the known exporters of Stainless Steel Nuts , which offers some great features to our clients such as temperature resistance, stable at high pressures and so on. The competition between the manufacturers of these products, to give economical Monel Hex Nuts with the supreme quality, has created a lot of tension in the markets which has indirectly helped the demanders get genuine high quality of fasteners at best rates. We have sophisticated, state-of-the-art manufacturing facilities for producing nothing but the best quality of Inconel Coupler Nuts. Apart from this, the offered Duplex Steel Heavy Hex Nuts is manufactured under the supervision of deft professionals, so that we can ensure complete flawlessness over the offered product. 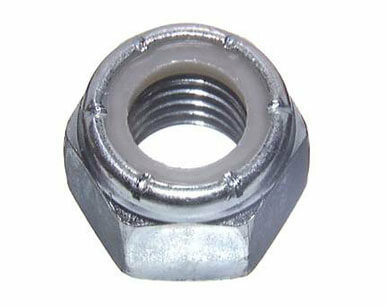 These Super Duplex Steel Lock Nuts are fabricated using the finest quality of the metals that are procured from reputed experts of the industry. Our given Nickel Self Locking Nuts is manufactured from the superior quality material & leading techniques under the guidance of our professionals. Applications include railroad, agricultural, mining, automotive, truck & heavy equipment industries. We offer a wide gamut of these Stainless Steel Nylon Insert Nuts that is available in different sizes and dimensions. Buy Aluminium Nuts in leading market price from us. Nickel Alloy self locking nuts, Titanium Gr.2 nylon insert nut, Hastelloy B3 coupler nuts, Nut, Hexagon Nut, Hex Nut, Hex Coupling Nut Supplier & Exporter in Mumbai, India. Nut, Hexagon Nut, Hex Nut, Hex Coupling Nut, Hex Domed Cap Nuts, Square Nut. We are Exporter of Nut in Worldwide Such as India, Bahrain, Israel, Mexico, Bhutan, Hungary, Mexico, Saudi Arabia, Nigeria, India, Slovakia, Serbia, Kazakhstan, Ireland, Costa Rica, Philippines, Zimbabwe, Spain, Egypt, Bolivia, Argentina, Kuwait, Nigeria, Iran, Angola, Iran, Germany, Canada, United States, Sri Lanka, Poland, South Korea, United Kingdom, Czech Republic, South Africa, Nepal, Brazil, Yemen, Japan, Malaysia, Denmark, Singapore, Gabon, Tibet, Vietnam, Iraq, Libya, Venezuela, Namibia, Poland, Finland, Ghana, Taiwan, Ukraine, Chile, Afghanistan, Jordan, Lebanon, Norway, Russia, New Zealand, Chile, Oman, Belarus, Macau, Pakistan, Qatar, Algeria, France, Colombia, Switzerland, Morocco, Turkey, Estonia, Kenya, China, Greece, Austria, Portugal, Peru, Hong Kong, Thailand, Indonesia, Australia, Bulgaria, Trinidad & Tobago,Tunisia, Azerbaijan, Ecuador, Belgium, Italy, Netherlands, Puerto Rico, United Arab Emirates, Lithuania, Sweden, Mongolia, Gambia, Bangladesh, Romania, Croatia. We are Suppliers of Nuts in India Such as Mumbai, Ahvaz, La Victoria, Houston, Jakarta, Chennai, Geoje-si, Manama, Kanpur, Baroda, Dallas, Melbourne, Vung Tau, Ludhiana, Algiers, Doha, Singapore, Haryana, Hyderabad, Karachi, Moscow, Istanbul, Calgary, Abu Dhabi, New York, Edmonton, Santiago, Muscat, Kuwait City, Cairo, Gurgaon, Atyrau, London, Ahmedabad, Faridabad, Ulsan, Mexico City, Nashik, Jaipur, Los Angeles, Rajkot, Bogota, Al Khobar, Montreal, Port-of-Spain, Bhopal, Petaling Jaya, Lahore, Dammam, Kolkata, Vadodara, Mumbai, Howrah, Chandigarh, Dubai, Pune, Hanoi, Coimbatore, Pimpri-Chinchwad, New Delhi, Riyadh, Chiyoda, Busan, Al Jubail, Tehran, Toronto, Bangkok, Colombo, Jamshedpur, Lagos, Aberdeen, Caracas, Seoul, Milan, Secunderabad, Thane, Granada, Hong Kong, Sydney, Kuala Lumpur, Perth, Visakhapatnam, Ankara, Indore, Brisbane, Gimhae-si, Ernakulam, Rio de Janeiro, Surat, Nagpur, Navi Mumbai, Sharjah, Madrid, Ho Chi Minh City, Thiruvananthapuram, Bengaluru, Courbevoie, Noida, Jeddah, Ranchi.